(CPCCSV5007A) Alternative Assessment to attendance at Practical Field Day. a. Write the RL of each grid intersection on the grid above using the given RL's provided in the table below. c. Determine volume of cut/fill from your contour plan, determine the quantity of excavation if it is intended to excavate to an RL of 104.00. The grid squares are 5 m by 5 m. Show all you’re workings on a separate piece of paper. Marks will be lost if working is not shown. Using Fig 1 below, detail how you would actually set out the building shown. 1. Employ a land surveyor. 2. Set it out yourself using profiles etc. By appointing a land surveyor, the amount of work is divided among the person so that the work can be finished on time. The cost of construction is increased. The dependency among the work is increased. The amount of supervision work increases. The stress is increased on us. The quality of work is reduced. Due to improper calculation, the amount of work as well as cost is increased. The main reason for performing a 2 peg test is to identify the calibration or accuracy of an automatic level. Now from the marked points on the base line, take offset distance which is equal to the offset distance of station point from base line, the points so obtained are peg points which can be noted as point A and B. If the observation 1 and observation 2 are same, then it can be said that the instrument is perfectly calibrated and the work done is highly accurate. If the difference of reading is more than 20mm or 30mm, then the instrument requires calibration. Also test should be conducted second time, if proper differences were not obtained. Name and describe two levelling instruments (not a spirit or water level) that you have used on-site and detail the advantages and disadvantages of each instrument. Detail how you set up each instrument to ensure accuracy of your levelling task. It is normally used to take level reading for a levelled ground surface. It consists of water bubble for its levelling about horizontal axis. It does not requires special skills. The temporary adjustments are easy and quick. It cannot be used on sloping ground . The angle of the traverse cannot be measured using it. It is a combination of dumpy level and compass. It is an improved dumpy level in which the telescope rotates about horizontal axis in vertical plane. Generally, used to measure horizontal distance of sloping ground using geometrical functions. It is fitted with a vertical circle for the measurement of vertical angle which is useful in computational works. It is used to measure horizontal distance on sloping ground. It is used to determine heights of inaccessible point. It can be used for prolonging of a line. Relative height and the bearing can be found out using same equipment. The cost is more . The speed of work is less. 1. 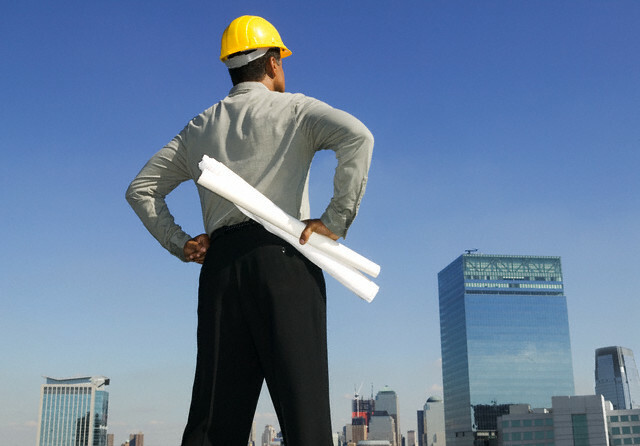 What components are likely to be included in site plans and specifications? Components may include site location, scale of plan, north symbol, name of project, legend, associated plan references, plant lists, details of special features, existing vegetation and structures, and services above and below ground. 2. What other available plans may be referred to? Other plans may include surveyors plans which may provide information on utility services, site levels, boundary lines, easements and rights of way, or engineers and architect plans that may show other proposed works. 3. What equipment is likely to be used when setting out a site for construction works? Equipment may include tapes, a compass, pegs, string lines, line marking equipment, a lump or mash hammer, ranging rods, arrows, plumb bobs, levelling equipment, and personal safety equipment such as a coloured vest, safety boots, sun hat and sun screen lotion. 4. What could be considered an environmental impact in relation to proposed construction works? Any construction works may impact on the environment management in either a positive or negative manner. If it is drainage and irrigation, this may reduce excess water, nutrient and chemical flow into natural waterways. If the works involve excavation, then this may damage the soil structure and stability of the site. 5. What OHS hazards may apply to setting out a site for construction works? Hazards may include solar radiation, uneven surfaces, strings, tapes and measures that may be tripped over, sharp equipment and surrounding obstacles. 6. How would existing site features be located from a site plan? The location of features may include the use of baselines, offset measurements, angles and grids. What scale measurements are likely to be Metric scales may include: 1 metre to 10 metres = 1:10, 1 metre to 20 metres = 1:20, 1 Skills Australia used on site plans? metre to 50 metres = 1:50, 1 metre to 100 metres = 1:100 and 1 metre to 200 metres = 1:200. 7. What shape are proposed construction works likely to be on a site plan? Proposed construction works are likely to be basic geometric shapes including straight lines, curved lines, circles, squares, triangles, rectangles and ellipses. 8. How could the shape of the proposed construction works be marked out on site? The shapes may be marked out or set out on the site by using paint from a spray can, lime, stringlines, pegs, stakes, rods and arrows. 9. What are the likely reasons for taking levels when setting out a site for construction works? The reasons for taking levels may be to determine height above sea level or a datum of drainage outlets, areas and volumes in cut and fill operations, any changes in slope or gradient of the land, contours of the land, to provide the means for safe and efficient construction of structures, to achieve falls for drainage of storm water from pavements, falls in pipe work or for installing sumps and drains, and to help set out of step risers, treads, goings, nosing’s, landings and hand-rails to Australian Building Regulations. 10. What levelling equipment is likely to be used to verify site levels? Levelling equipment may include spirit levels, line bubbles, water levels, boning rods, dumpy levels, pegs, tilting levels, automatic levels, laser levels, plumb bobs, staves and tripods. The proposed work on be finished on time. Due to death of the person, the fear among the workers occurs. A legal case can be filed up against the construction team. Due to the delay of the work, the work preceding work cannot be finished on time. As work won’t get completed on time then over head cost would keep on increasing resulting in high construction cost. Family members of that person may ask for compensation.